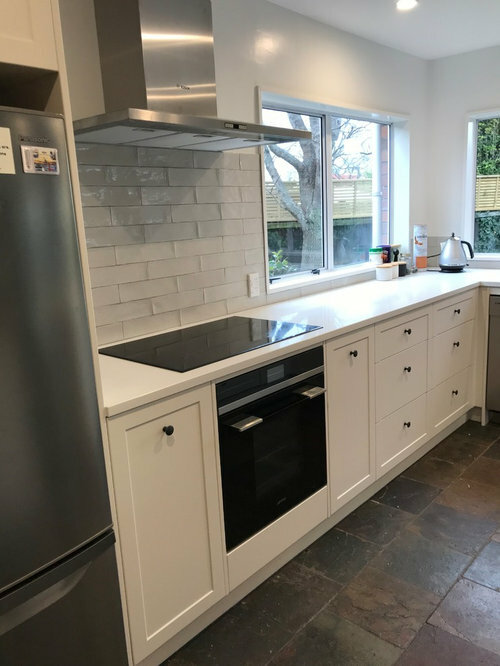 When our customers moved into their new home in Avonhead, renovating the mustard coloured 80's kitchen was a priority. 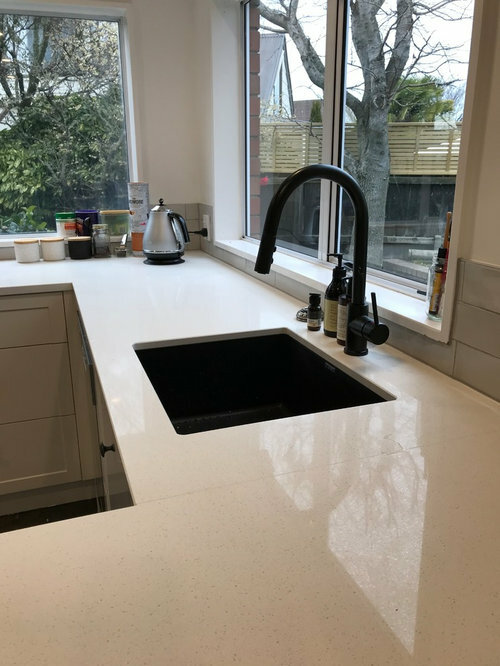 Although the kitchen was a big space, a lack of drawers meant that there was a lack of storage. 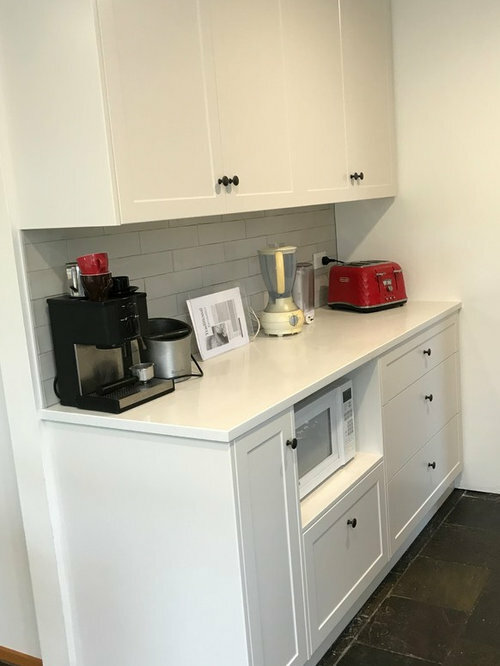 We added a Blum Space Tower pantry with 5 internal drawers and drawers under the bench in just about every available spot. 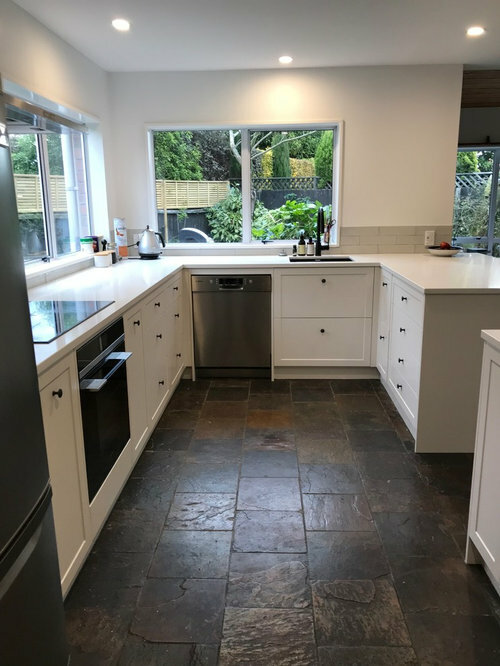 Our customers were keen to retain their existing slate floor so we made the new cabinetry fit into the existing footprint. More happy customers! 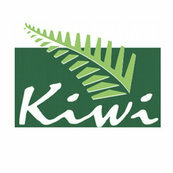 Our customers wanted to maximise the usage of all the storage area so we included LOTS of drawers. We also added a pullout for spices and bottles next to the cooking area. 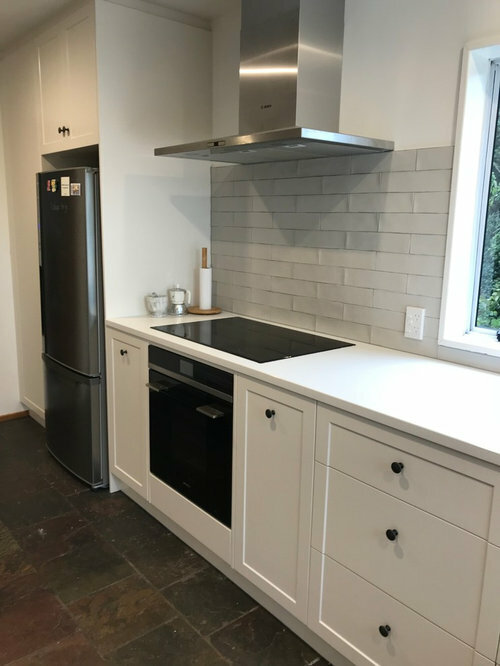 We love the subway tiles that our customers chose for their splashback. 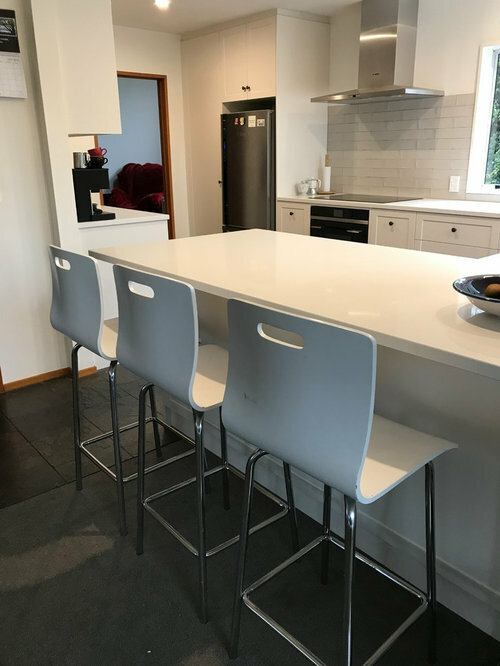 By moving the fridge to the other side of the room we were able to create this extra bench space area - a great place to keep appliances that are often used. 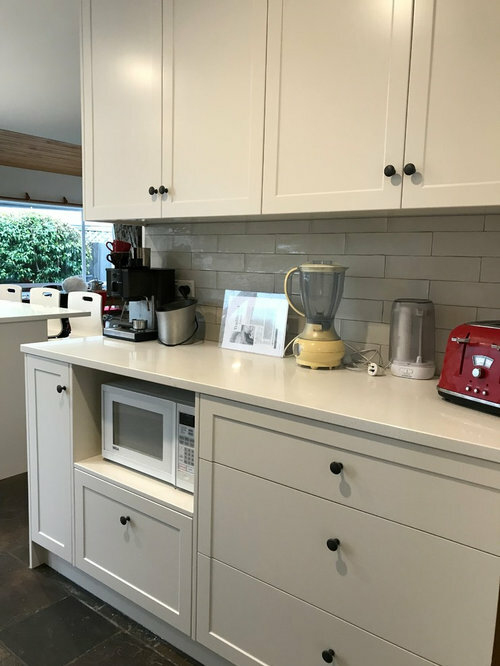 Tucking the microwave under the bench can sometimes be a great option in a kitchen renovation. A generous seating area at the breakfast bar. 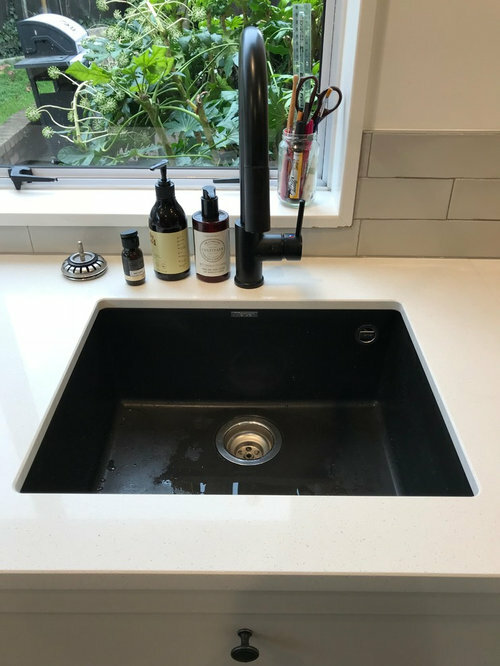 A Mercer black sink with a black tap undermounted in the engineered stone benchtop.